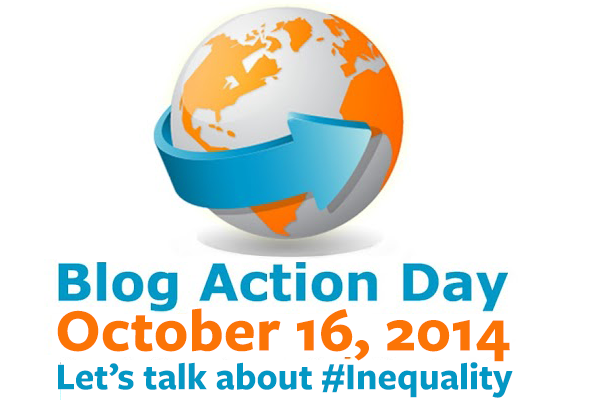 I decided to share a video on inequality and debt with you on this years Blog Action Day. Do you feel democracy and equality is possible in capitalism? Or do we only have problems because of how we (or he richest 1%) is managing capitalism today? A part of the rebel me is thinking that those richest people are only 85 persons according to the video, and we are millions, it really should be easy to balance back the power. Unfortunately these people hide behind multimillion dollar companies. Just this morning it made me angry to think about how these international companies are dictating how we eat, which medicines are used to treat our sicknesses and how and what food is produced. It is however, easy to pin point the problems in our economy but what about the solutions? 1. Support your local economy and small companies. Increases transparency, local economic resilience and keeps jobs in the region. Like ekobanken and JAK in Sweden (unfortunately I haven't found an alternative in Finland yet!). Do you have one in your country/region? 3. Familiarize yourself with different social and economic architecture systems. Get to know steady state economy, economic democracy, benefit corporations. circular economy etc. etc. Any system you want to tip me about? Some of my favorites are Positive Money, Reconomy, New Economic Foundation, Ellen MacArthur Foundation and TEEB. Please let me know if I missed your favorite. Because we talked about debt Positive Money are taking on this problem by looking how money is created which is quite interesting as today's money is created directly as debt. This is why I will finish this post with their video. Could we take on the issue of debt by looking at money creation and loans? Would that in turn increase equality and democracy in our current economy? Have good Blog Action Day!